"Surf the Sky with the Most State-Of-The-Art Flying Motorcycle in the Pacific." 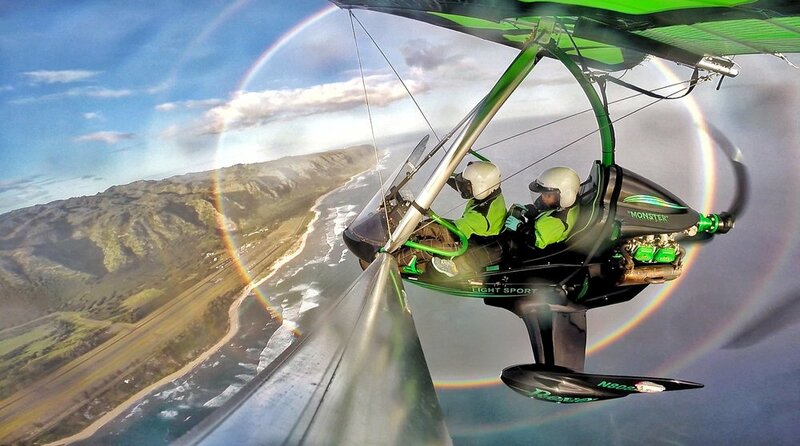 POWERED Hang Gliding over Oahu's Spectacular North Shore. & Honolulu, Hawaii. Watch the sunrise over the Ko'olau Mountain Range while you feel the ocean spray as you ‘fly like a bird’ over white sandy beaches and turquoise waters. 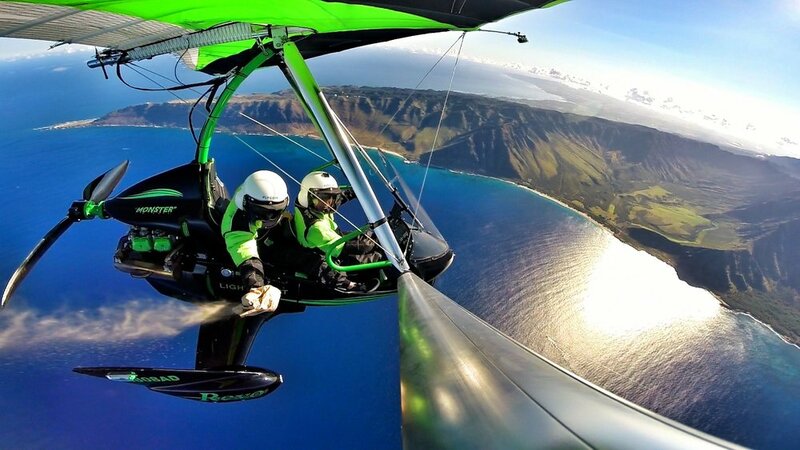 Witness majestic Makua Valley on the Leeward coast and soar over Waimea Bay and Ka’ena Point from an eagles-eye view. Our Evolution Revo trike is All-American made and the Most State-Of-The-Art Flying Motorcycle in the Pacific. Our aircraft can glide and land just about anywhere without an engine and has a rocket-propelled emergency parachute for unparalleled safety. 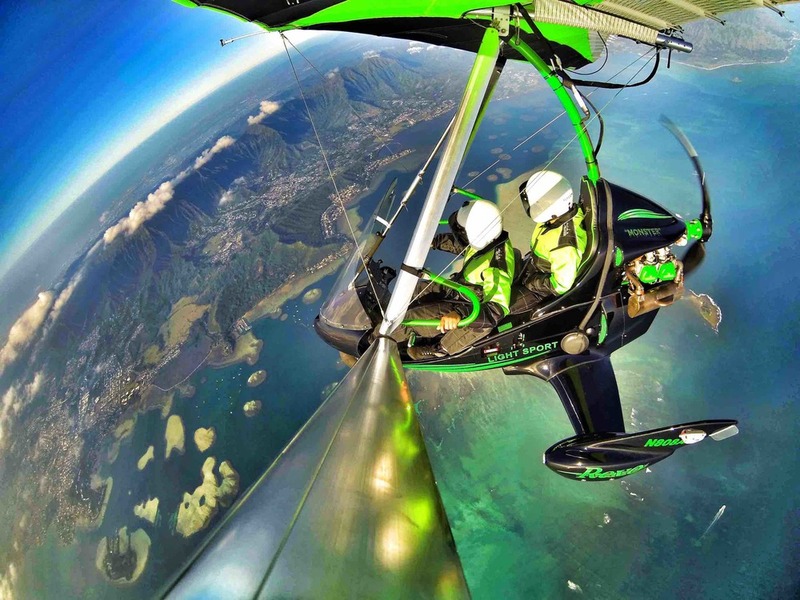 Hang Gliding Hawaii instructs you on the basics of flying POWERED Hang Gliders—one of the SAFEST forms of flight today. No experience is necessary. 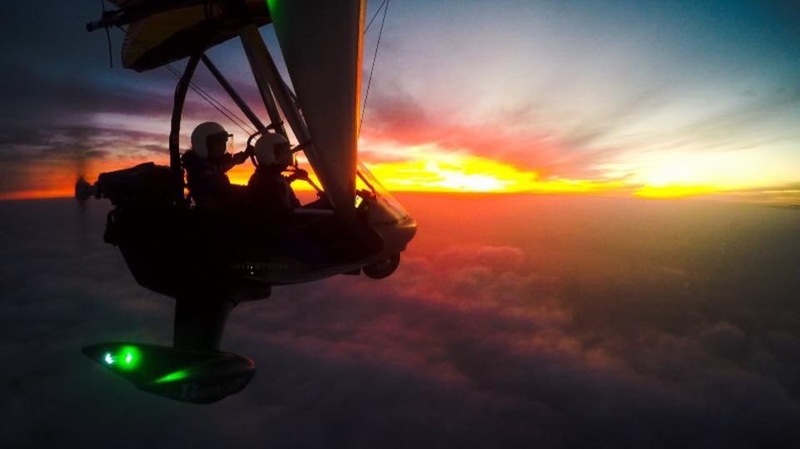 The highest rated FAA-certified instructor in Hawaii, Born and Raised on Oahu, gives you a hands-on lesson while you soar over the most breath-taking landscape in the world! We fly 7 days a week from sunrise to mid-morning. Flying early maximizes our time in smooth air and provides superb camera lighting for epic flights. We also offer digital photo and HD video packages to impress folks back home. We highly encourage you to plan us early in your trip since all of our flights are weather permitting. If you fly with us closer upon your arrival, waking up early won't be hard since your biological clock will still be on 'mainland' or International time. As a reminder, we only fly in the early mornings. Please call ahead of time to ensure best availability as reservations are required. E Komo Mai. Welcome to the North Shore of Oahu!